Fleetwood Mac News: And the Winner is... Fleetwood Mac for "Reissue Of The Year" for "Rumours"
And the Winner is... Fleetwood Mac for "Reissue Of The Year" for "Rumours"
The Classic Rock Awards Ceremony was held tonight in London at the Roundhouse and Fleetwood Mac took home the award for "Reissue Of The Year" for the 3CD Rumours package that was released earlier this year. 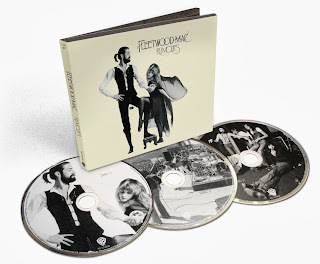 Congratulations Fleetwood Mac! The 1977 classic has sold in excess of 45 million copies worldwide and includes the tracks Go Your Own Way, Don’t Stop and The Chain. The new three-disc edition includes additional live recordings, demos and early takes. Mick Fleetwood has recorded a thank-you video in a hotel lobby, sitting on his suitcases. The band have been touring on the back of an EP release, which saw them reunite with Christine McVie as a special guest. But guitarist Lindsey Buckingham says it’s down to Stevie Nicks whether they record another album. Best wishes go to John McVie, who recently confirmed he was being treated for cancer. Mick promises Mac will return to the UK next year as Fish promises the award will make its way to the US to the band. 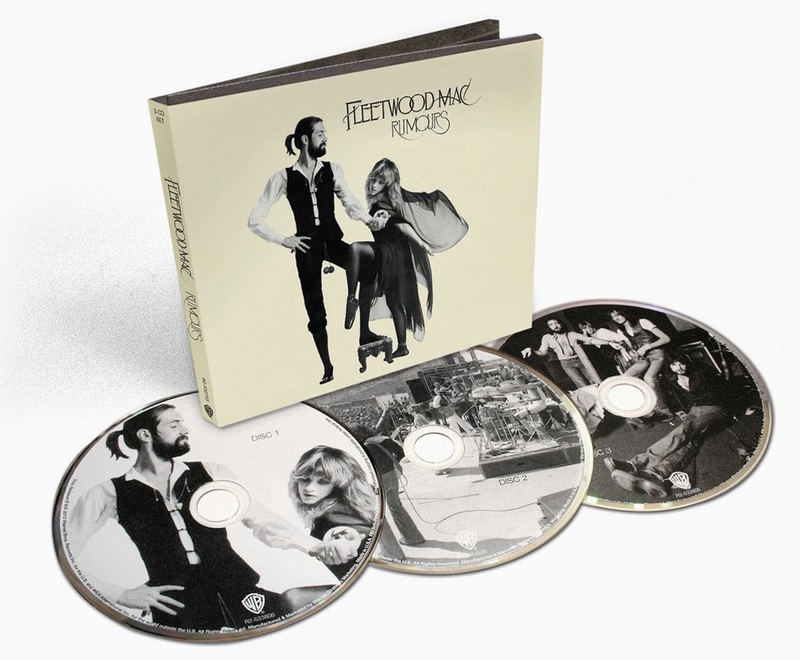 Rumours 3CD Expanded Edition is available at Amazon for $19.08 or $24.99 at iTunes. 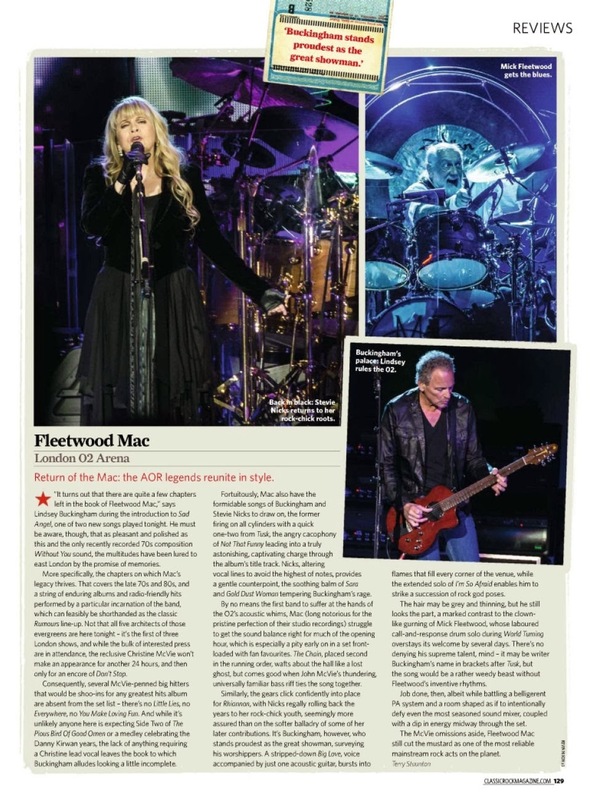 Speaking of the Classic Rock Magazine... Fleetwood Mac are featured in a full page review on the first London show back on September 24th. 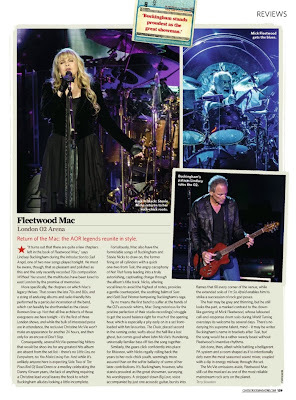 The page can be found in the December, 2013 issue of Classic Rock Magazine. The Rolling Stones, Led Zeppelin and Fleetwood Mac were among the winners at U.K. magazine Classic Rock's 2013 Roll of Honour Awards, which took place Thursday night in London. The Rolling Stones were named Band of the Year; Led Zeppelin's Celebration Day, the concert film focusing on the group's 2007 reunion show, won the Film of the Year honor; and Fleetwood Mac's 35th Anniversary Edition of Rumours received the Reissue of the Year prize. No Rolling Stones members attended the event, but Mick Jagger sent a video acceptance speech in which he discussed the successful U.K. concerts the band played earlier this year. "We did have a fantastic time in England, on our home turf," said the singer. "Glastonbury was brilliant and Hyde Park was a fantastic summer's evening. See you all…somewhere soon." Led Zeppelin's Jimmy Page, meanwhile, was on hand to accept the Film of the Year prize. "I know this comes from the readers so I've got to extend my great thanks," the guitar legend said from the podium. "It was a great concert and we got the energy into the video -- well, the DVD…and the Blu-ray. I'm here on behalf of the band and I thank you on their behalf." Fleetwood Mac drummer Mick Fleetwood also sent a video acceptance speech. In it, he promised that the band, which had to cut short its 2013 tour plans after bassist John McVie was diagnosed with cancer, planned to play more shows in the U.K. again next year. This year's other honorees included Mott the Hoople, who won the Outstanding Contribution trophy; and John Mayall, whose 1966 release Bluesbreakers with Eric Clapton snagged the Classic Album Award. The evening's big winner was Black Sabbath, who took home three trophies at the event. The influential heavy-metal group received the Living Legend Award, the Album of the Year prize for 13 and the Event of the Year trophy for hitting #1 on the charts after 43 years.